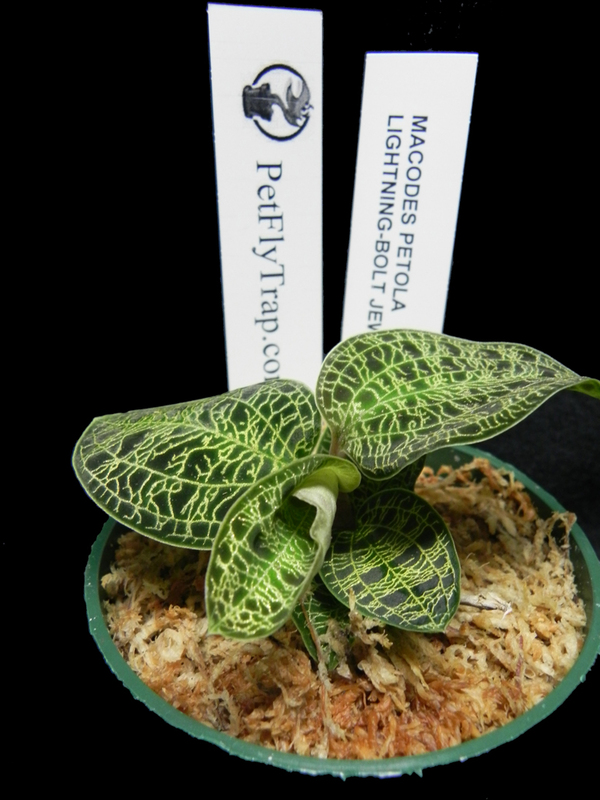 A popular terrestrial orchid that is grown mostly for its beautiful leaves, the Jewel Orchid comes in a variety of colors and patterns. This particular species, though, grows throughout Malaysia, New Guinea, the Philippines and Sumatra, and is well known for the golden sparkle in its leaves. Photographs just don't do it justice...hold it up to the light and watch it glisten! When mature, this species will produce a small spray of white flowers on an upright stem; but it's the leaves that really make this one for the collection. 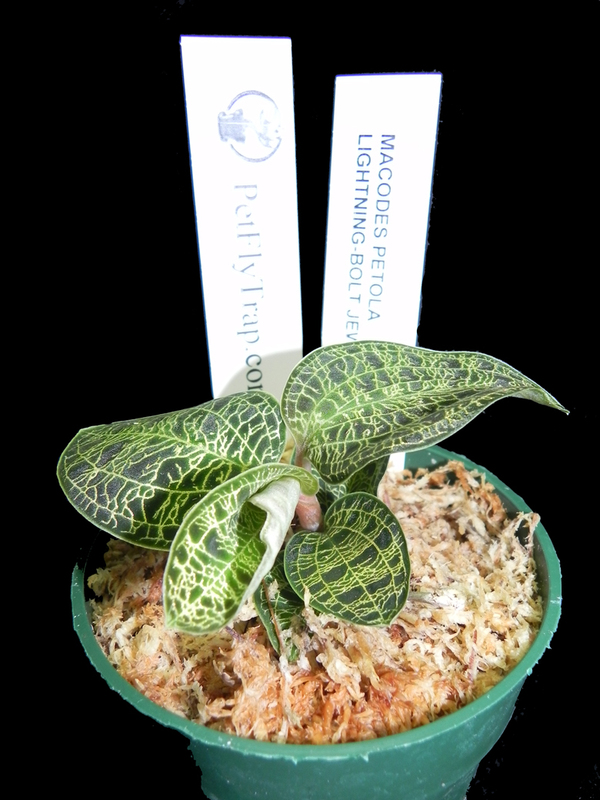 Very easy to grow as long as the potting medium is kept lightly moist and the plants are grown under heavy shade, making it a wonderful companion plant to grow in the shade of your Nepenthes plants! Medium plants in 4-inch pots and ready to grow, so all you do is water.